With more and more individuals opting for a cleaner living and more productive lifestyle, energy drink sales are now at an all time high. The choice is vast, the packaging seductive, and the promise of an energy and concentration boost appeals to most. Energy drinks claim to deliver a performance high that is both legal and safe. But what is the truth behind energy drinks? Are they addictive? What are the active ingredients? And most importantly are they actually safe? Hopefully this article will provide you with all the information you need to draw your own conclusions as to whether the benefits of these popular drinks outweigh the negatives and associated risks. Why are energy drinks so popular? Energy drinks are the promised solution to a tired mind and body. There is increasing pressure for us to be more and more productive in every area of our day to day lives. Today’s society as a whole works harder, plays harder and sleeps less than ever before. The human body, if not looked after properly, is simply not made to meet with these demands. In every age range today, there are pressures to perform and produce. Whilst some use energy drinks to enhance their physical performance and concentration in sports and fitness, others simply use it to stay awake and cram more hours into their day. What are the active ingredients in energy drinks? Nearly all energy drinks contain very high concentrated amounts of Caffeine, with this being the primary active ingredient. Caffeine is a stimulant drug and is most commonly found in tea and coffee. The body reacts to a caffeine intake by producing adrenalin. Adrenalin is normally naturally produced in the body to provide an individual with a “fight or flight” response to a dangerous or demanding physical or mental situation. For instance, if an individual perceives a life threatening danger, the body will produce adrenalin. This is the body’s natural response to fear and equips the individual with a heightened sense of alertness, physical strength and stamina in order to keep the individual safe. Caffeine molecules stimulate adrenalin production, producing the same effect as if the individual was under imminent threat of harm. There are some popular energy drinks on the market that contain up to 20 times more caffeine than a standard cup of coffee. That’s a lot! Can you imagine drinking 20 cups of coffee within 10 to 15 minutes? Essentially, that is what you are doing when drinking some of the more potent energy drinks available on the market Great if your faced with a life threatening situation, not so great of your just going about your daily business! This substance is naturally occurring in vertebrates and provides and invaluable aid in supporting and supplying energy to all of the body’s cells, especially muscle tissue. Creatine is used generally in increasing amounts by athletes and professional body builders to reduce muscle repair time and to help gain muscle mass. Too much Creatine has been associated with asthmatic symptoms and respiratory difficulties. Also known as Amino acids, Taurine is a major constitute of bile, and naturally occurs in the lower intestine. Taurine affects the retina and central nervous system, the function and development of skeletal muscle and the health and performance of the cardiovascular system. 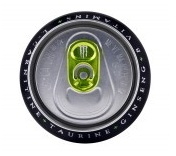 Too much Taurine can cause problems with the retina and central nervous system and the cardiovascular system. Aspartame is an artificial sweetener and is used in the sugar free range of energy drinks. It is the subject of much controversy due to the numerous physical symptoms that can result from its long term or over use. Effectively there are no benefits other than cutting calories to this substance, and it has been associated with many health related conspiracy theories. Sugars provide energy but no nutrients to the body. This results in the body craving sugar to feel energised if it is used frequently. Sugars cause a temporary imbalance to the bloods sugar levels, after a high there is always a low and many individuals will describe the post sugar withdrawal as a “sugar crash”. Energy drinks that are not sugar free contain lots of empty calories; they are laden with sugar to enhance taste and effect. 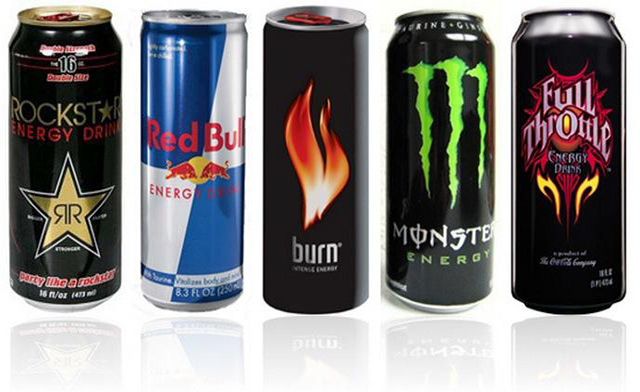 Some of the common brands of energy drinks contain up to 360 calories per can! Are energy drinks really that unhealthy though? Have a look at the infographic below. Which drinks are classified as energy drinks? To give you an idea of how strong some of these energy drinks are in their Caffeine content, your average cup of instant coffee contains anything from 2 to 15 mg of Caffeine depending on the strength. Add to that the other active ingredients; it is easy to see why energy drinks can be dangerous to an individual’s health and well being. In short, yes they can be when not used sensibly. Whilst the odd can of energy drink here and there is unlikely to cause any harm, drinking more or mixing with other stimulants or alcohol can be very dangerous. Consider this: If one can of energy drink can have this effect on your blood pressure and vital organs, what about multiple cans? The severity of these symptoms increase depending on the number of energy drink servings you consume. These uncomfortable and unpleasant symptoms can lead to an individual drinking further servings in order to gain relief. Who is most at risk from addiction to energy drinks? The street-wise packaging, the fact that energy drinks are easy to obtain and provide a legal high, appeals to this age group in particular. Not many teenagers will give a second thought to drinking a few cans of energy drink to relieve tiredness or gain an energy high. Teenagers are particularly vulnerable as they are less likely to consider the active ingredients as dangerous or to be well educated around the dangers and possible side effects. They may consume energy drinks as an alternative to alcohol or drugs, thinking they are choosing a safer and more socially acceptable option. If you have suffered from other addictions, either currently or in the past, you are more vulnerable to becoming addicted to energy drinks. In particular, individuals who are in recovery and abstain from drugs and alcohol, may become addicted to the high these drinks produce. In some extreme cases, they replace the alcohol with energy drinks, matching can for can. You can only imagine how dangerous this can be. What are the risks associated with energy drinks? It would seem that there is no safe amount to consume, but excessive use and mixing with alcohol or other substances is a definite no, no. As with all addictions, the first step to recovery is admitting the problem to your self, the second is asking for help. Energy drink addiction is serious and you should not feel that you are wasting a professionals or friend’s time by asking for help and support. In extreme cases, a stay in rehab may even be required to help break the habit and deal with the underlying psychological issues. What ever you do, do not suffer alone in any addiction. There is help available and a wide choice of treatment options to suit all budgets.